Power management company Eaton today announced that two more American Hockey League (AHL) arenas, the Budweiser Events Center in Colorado and the XL Center in Connecticut, have installed its Ephesus sports lighting solution for the 2018-19 season. 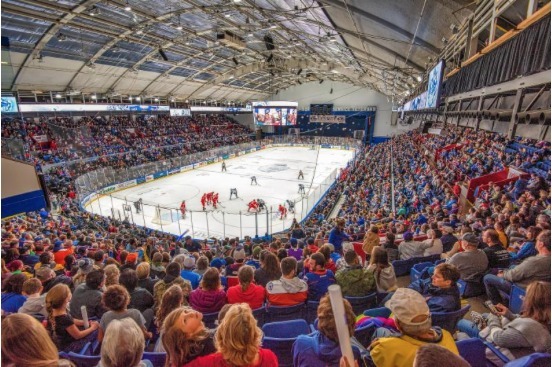 Additionally, the War Memorial Arena in Syracuse, the first professional sports venue to install an LED lighting solution in 2012, upgraded its current lighting with Eaton’s new Ephesus Lumadapt sports lighting system. Ten of the AHL’s 31 arenas now use one of Eaton’s Ephesus LED lighting solutions. In addition to Syracuse, Colorado and Hartford, this includes: Webster Bank Arena in Bridgeport, Connecticut; the Mass Mutual Center in Springfield, Massachusetts; The Adirondack Bank Center at the Utica Memorial Auditorium in Utica, New York; the Floyd L. Maines Veterans Memorial Arena in Binghamton, New York; Coca-Cola Coliseum in Toronto; Van Andel Arena in Grand Rapids, Michigan; and the BMO Harris Bank Center in Rockford, Illinois. Eaton has been a long-time supporter of the American Hockey League, so it’s rewarding that so many of our teams have selected its Ephesus LED lighting solutions when they look to enhance the game experience for their players and fans. The Budweiser Events Center in Loveland, Colorado, a 7,200-seat multi-purpose venue that opened in 2003, serves as the home ice for the expansion Colorado Eagles. It joins the War Memorial Arena in Syracuse as the first two AHL arenas with the new Ephesus Lumadapt LED Sports Lighting System. Lumadapt, the industry’s first adaptive fully customisable LED sports lighting and controls system, allows facility operators to buy what they need today and then remotely update, adapt and expand the system as their needs change and new technologies and features become available. Lumadapt’s smart-cloud data approach connects the entire system, thus allowing users to remotely monitor system heath and instantly upload new features, functionality and system upgrades. The fully integrated system can be built out with a wide range of a-la-carte options such as; RGBA colour, beam tuning, colour temperature tuning, remote health/status monitoring, and a dynamic scene builder with the capability to make personalised shows. As additional functionality is developed or updated, Lumadapt customers can pick and choose the functionality they need to upgrade the system. The XL Center, one of the northeast’s most popular concert venues and home ice for the Hartford Wolf Pack, chose Eaton’s popular Ephesus Arena Pro luminaires with colour temperature tuning capabilities and a wired DMX control system with 100 percent dimming capabilities and Prism RGBA colour flooding fixtures. In addition to offering colourful lights shows and the highest quality light possible to enhance the game presentation, the system typically reduces energy usage by 75 percent. We are excited to welcome the fans, broadcasters, players and facility operations staff for the Eagles and Wolf Pack to a new era of LED sports lighting. Since the teams play under our LED lights at so many AHL arenas during the season, when it’s time to upgrade their facility, we believe we’ve made it an easy choice. Eaton’s Ephesus light-emitting diode sports lighting product line provides optimallighting that illuminates more uniformly on the playing surface and offers an improved stage for players and fans. The system is easy to install, requires little to no maintenance for years and offers the lowest total operating costs compared to other traditional sports lighting systems. 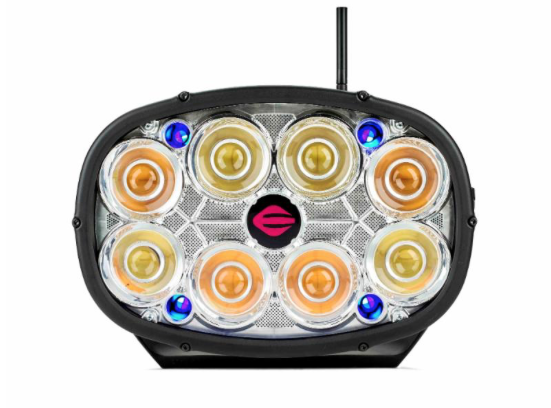 Eaton manufactures its Ephesus line of high-output solid-state sports lighting solutions for a broad range of applications, from municipal ballfields to indoor and outdoor professional venues. These innovative advanced lighting solutions create brighter, more vibrant and sustainable environments. In operation since 1936, the American Hockey League (@TheAHL) continues to serve as the top development league for all 31 National Hockey League teams. More than 88 percent of today’s NHL players are American Hockey League graduates, and more than 100 honored members of the Hockey Hall of Fame spent time in the AHL in their careers. Every year, more than 6 million fans attend AHL games across North America.